Nissan is launching a special 'GT Edition' of its 370Z Coupe to celebrate the Japanese brands success in GT racing and 40 years of Z cars in the UK. The extras include special paint colours, unique GT stripes, darkened 19-inch alloy wheels and suspension changes. The grey GT side stripes are designed to contrast with each of the special edition's three body colours - Pearl White, Kuro Black and Black Rose - the latter is exclusive to the GT Edition. There are also 19-inch RAYS forged alloy wheels finished in dark anthracite. There are changes to the GT chassis with the main modification being retuned dampers, aimed at providing the ideal balance between ride comfort and high-speed handling. Equipment improvements include a rearview parking camera as part of the Premium Connect satellite navigation system plus a tyre pressure monitoring system. The advanced seven-speed automatic option now has a snow mode which, when applied, sets the car off in second gear and controls engine revs to prevent wheel spin on ice or snow. Refinement has been enhanced by revisions to underbody insulation to reduce road noise. As the name implies, the GT Edition celebrates Nissan's presence in GT racing on the world stage. As well as its continuing commitment to Super GT in Japan, Nissan has been one of the leading lights in the new GT1 World Championship, winning the prestigious Tourist Trophy in 2010 with the GT-R. The Nissan Z family has been a race winner in the FIA GT4 European Cup since its inception and competes annually in various 24 hour races - the highlight being the Nürburgring 24 hours. 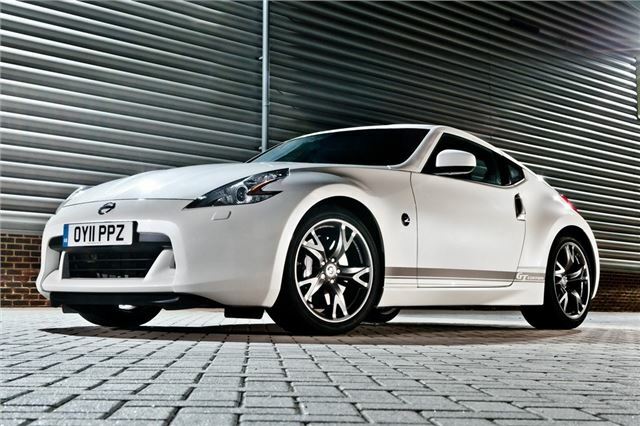 The new GT Edition 370Z is available to order from participating 370Z dealers with first deliveries expected from 1 June 2011 and priced from £35,000.